These are two examples of my kindergarten classes performing their first melody on the Orff instruments. The melody comes from an old series of music curriculum, but any sol mi song would do. We were learning, “Spring is here. Spring is here. 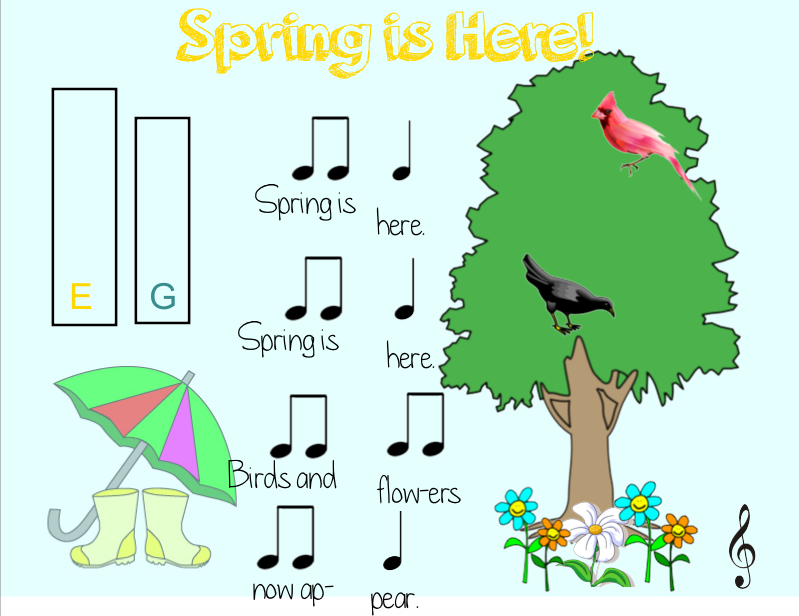 Birds and flowers now appear.” Once they mastered the melody by singing, using body signals (head for sol and shoulders for mi), using hand signals, and moving to the pitches, we then learned to perform it on the Orff instruments. Once they were successful, I took one student who has a very good steady beat, and had him/her perform the steady beat on the contrabass bars. Finally, I used GarageBand and a snowball USB microphone to record them. Any recording app on a mobile device, tablet, or laptop would have worked as well. I am very proud of my kindies!